IRION COUNTY. Irion County (H-11) is on U.S. Highway 67 and State Highway 163 in southwest central Texas, bounded on the west by Reagan County, on the south by Crockett and Schleicher counties, and on the north and east by Tom Green County. It was named for Robert Anderson Irion. The center of the county is at 31°18′ north latitude and 100°35′ west longitude, forty miles southwest of San Angelo. The county embraces 1,051 square miles of rolling prairie, grass, mesquite, and, in some sections, exposed rock. Elevations range from 2,100 to 2,600 feet above sea level. The county is drained by the Middle Concho River and its tributaries; springs in the Edwards Plateau limestone feed Dove and Spring creeks. Soils vary from sandy to clay to gravel. The average annual rainfall is 21.33 inches. Irion County has an average minimum temperature of 32° F in January and an average maximum of 96° in July. The growing season lasts 232 days. 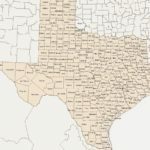 About 90 percent of the county’s $7 million annual agricultural income is derived from cattle, sheep, and Angora goats; other agricultural products include pecans, sorghums, small grains, and cotton. Oil and gas production provides most of the county’s income. In 1982 crude production was 3,425,871 barrels, worth $102,760,444. The Tonkawa Indians once occupied the area of Irion County. Spanish explorers Hernán Martín and Diego del Castillo traversed it in 1650; Juan Domínguez de Mendoza and Nicolás López followed in 1684 and reported on local Indians. In 1761 Felipe Rábago y Terán passed through the area, probably following Mendoza’s path. From 1858 to 1861 coaches of the San Antonio-San Diego Mail and the Butterfield Overland Mail crossed the region. On January 8, 1865, the battle of Dove Creek was fought at the junction of Spring and Dove creeks between 1,400 Kickapoo Indians and 370 state border guards under Capt. Henry Fossett. The Kickapoos were eastern Indians who had been uprooted by the American government and removed to reservations in Indian Territory; they were attempting to move to Mexico when intercepted by Fossett’s troops. Thirty-six whites were killed and sixty wounded in the battle; Indian casualties totaled eleven dead and thirty-one wounded. The area had been part of the Fisher-Miller Land Grant of 1843, but no settlements were established in what is now Irion County until the late 1870s, after the Indian threat had been eliminated. In 1874 the area became part of Tom Green County, which was formed that year from 12,500 square miles taken from Bexar County. G. W. Wood, Richard F. Tankersley, Bruce McCain, and others established cattle ranches in the area. Cattle and sheep thrived on the well-watered range. John Arden brought the first flock of sheep from California in 1876, and in 1880 the 7D Ranch was established by Billy Childress with longhorn cattle from Atascosa County. Beginning in the 1880s a few pioneer farmers built small irrigation systems, and several ranchmen planted hay and grain. Underground water resources were tapped with windmill-driven pumps; the first cotton crop was planted in 1886 by W. H. White. In 1889 the Texas legislature formed Irion County from Tom Green County, and that same year the county was organized with Sherwood county seat. By 1890, 118 farms and ranches, encompassing 193,000 acres, had been established in the county. Though fourteen of these were larger than 1,000 acres, many were relatively small holdings; the average size was 1,627 acres. Nevertheless, ranching dominated the local economy; almost 64,000 cattle and over 42,000 sheep were reported in the county that year, when only 218 acres was planted in corn (the county’s most important crop) and fourteen in cotton. The United States census counted 870 residents that year. By 1900 the number of farms and ranches declined to fifty-two, and the population dropped to 848. Though ranching continued to dominate the local economy well into the twentieth century, crop farming became more important after a number of homesteaders settled on state lands between 1901 and 1904. By 1910 there were ninety-four farms and ranches in the county, and the population had increased to 1,283. Further immigration into the area was encouraged when the Kansas City, Mexico and Orient Railway slowly extended its tracks through the county between 1907 and 1911. Thanks in part to the new railroad connection, the county continued to grow between 1910 and the late 1920s. The number of farms and ranches increased to 136 by 1920 and 160 by 1930. By the latter year crop farming had expanded to 5,000 acres, 1,975 planted in cotton; sorghum was the most important other crop. Meanwhile, ranching remained at the center of the local economy. More than 33,000 cattle, more than 3,700 mohair goats, and almost 203,000 sheep were counted in Irion County in 1930. As the county’s agricultural economy developed, its population also grew. The census bureau counted 1,610 county residents in 1920 and 2,049 in 1930. The arrival of the railroad also shaped the political geography of the area. Sherwood, the county seat, began to decline when it was bypassed by the railroad, while Mertzon-which was on the line-grew and began to challenge Sherwood for the role of county seat. In a 1927 election held to determine which town should be county seat, voters chose Mertzon over Sherwood by 286 to 231. Sherwood retained its status, however, because a two-thirds plurality was required for a change. After another election in 1936 Mertzon was chosen county seat by a vote of 453 to 222. The Great Depression years featured dry ranges, dust storms, short crops, low markets, and unemployment. Federal programs for the purchase of cattle and sheep helped, as did other relief projects, including a Red Cross sewing and knitting venture. By 1937 conditions looked brighter, as wool and meat prices rose and the Work Projects Administration provided partial funding for a new courthouse. Nevertheless, the number of farms in the county declined to 149 by 1940. By that year the population had also dropped slightly, to 1,963. Though the economy largely recovered during World War II, the mechanization of agriculture and the trend towards fewer, larger farms contributed to the depopulation of the county. Between 1940 and the 1970s the number of residents in Irion County declined-to 1,590 by 1950, 1,183 by 1960, and 1,070 by 1970. Partly because of intensified oil production, however, the population rose to 1,386 by 1980; in 1990 it was 1,629. Oil was discovered in Irion County in 1928, but substantial production did not begin until the late 1950s. It was 20,500 barrels in 1948, 192,000 barrels in 1956, and 819,000 barrels in 1965. By 1974 production had increased to 1,822,000 barrels, and by 1978, to 2,855,000. By January 1, 1991, 67,683,641 barrels had been produced in the county since 1928. In national politics the voters of Irion County supported Democratic presidential candidates in almost every election from 1892 to 1964; during that period the Republicans won the county only in 1928, when a majority of local voters supported Herbert Hoover, and in 1956, when the county went for Dwight D. Eisenhower. In presidential elections from 1968 to 1992, however, county voters consistently supported Republican candidates, though the elections were often close. Irion County has not had any substantial urban growth and remains a land of ranches and farms. About 1 percent of the county’s farmland is devoted to crops. Extensive irrigation from the rivers still sustains hay and grain feed crops for local livestock and sales. Irion County has no manufacturing, little tourism, and only a modest agricultural income; the county is one of the most lightly populated areas in the state. Mertzon (1990 population, 778) is the county seat and farm center. Other communities are Barnhart and Sherwood. Outlaw Tom Ketchum (see KETCHUM BOYS) once maintained a hideout in the county, at the mountain now named for him. Leta Crawford, A History of Irion County, Texas (Waco: Texian, 1966). Irion County Historical Society, A History of Irion County, Texas (San Angelo: Anchor, 1978).